I lost my keys at 2am and phoned Telstra call connect asking for a 24 hour mobile Locksmith Zetland. 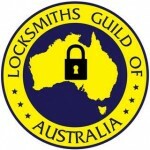 The operator connected me to Nexus Locksmiths Zetland as their ad said they offered a quick response Zetland locksmith for emergency situations at all hours. Their serviceman responded quickly and I was impressed that I got straight through to him at 2am. Half an hour later they had a locksmith at my door. After picking my locks Nathan made me a set of keys and thankfully also had an EFTPOS terminal, which was handy as the nearest ATM wasn’t too close. Thanks. My name is Mark, one afternoon coming home from work I was locked out, the handle on the knobset would turn but for some strange reason the door would not open. I am a plumber so I always have a few tools handy in the van and had a crack at it my self but had no luck getting it open, I didn’t want to destroy the door so decided to call a locksmith servicing Zetland. Nathan from Nexus arrived quickly and got the drama sorted. A new lock was put on then and there which saved the inconvenience of having to book the locksmith coming back the next day just to finish off the job. Give them a ring, the service was professional and I would definitely use them again – just hope I don’t need a locksmith anytime soon! I use Nexus on a regular basis: being a real estate agent we constantly need keys cut and locks rekeyed and installed. We manage lots of properties in Zetland and Nathan has been our regular locksmith for the last 2 years. Every now and then we like to throw him a curve ball, awkward after hours jobs, urgent rekeys and the like, thankfully Nexus have delivered the goods each time. 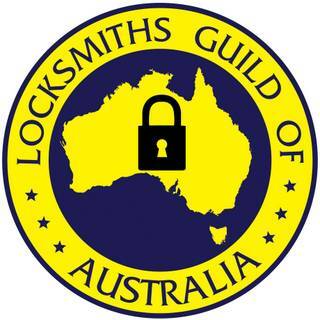 I would recommend them to anyone needing a Locksmith in Zetland as we have had a long-term relationship with them, which has held strong for the last 2 years. Security tip: Sliding doors are vulnerable to being pried open. We advise installing a patio bolt. This provides an extra point of anchorage and makes crow bar attack more difficult. We stock Lockwood 680 patio bolts which offer concealed fixing and unlike cheaper ones affix with 4 screws as opposed to just 2. We can also key the 680’s to your existing key. These patio bolts are a little dearer to fit than most others but are worth it. Highly recommended in ground floor units.